Archive Boxes: Available in brown or white. Height – 250mm Width – 435mm Depth – 320mm File Boxes are sold separately included only for illustrative purposes.All boxes are supplied flat-packed. Description: Archive Boxes are ideal for temporary storage of all paper work and old documents. 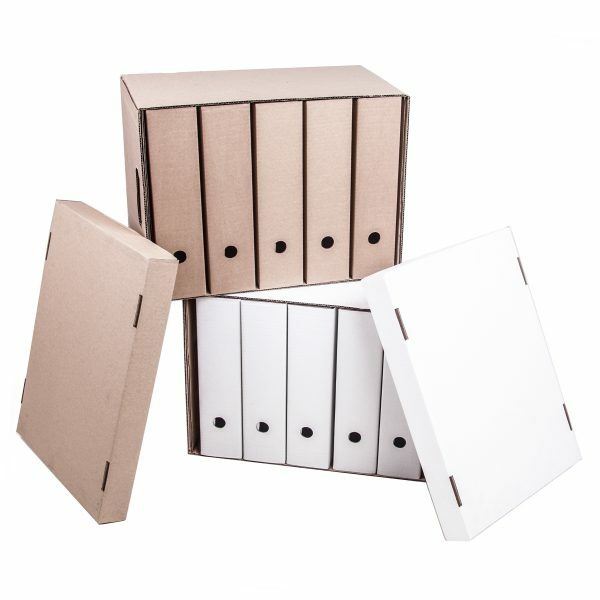 The archive box consists of 5 file boxes inside one box, creating more storage space while all your files are kept together. The file boxes also include a name tag on the side for file description.